The expanded definition of design today includes exhibition displays, virtual or sculptural elements and calls for design as a critical practice. When designers like Martino Gamper produce one-offs through a collaborative process via social networks, or when design collectives like Front and Kueng/Caputo focus in their work on visual aspects and questions of authorship, then self-reflective spaces within their disciplines are explored. Over the past three decades or so, with design objects becoming museum artifacts and popular media images, the notion of a work of design has been established. This notion of a work of design does not relate primarily to fine art today, but primarily to a self-reflective understanding of design. Of course, these developments did not go unnoticed in the field of art. After some artists and collectives produced actual objects for use in the 1990s, a younger generation like Florian Slotawa, Mamiko Otsubo or Thea Djordjadze seem to be less interested in effective functionality than in setting up a potential order of things. 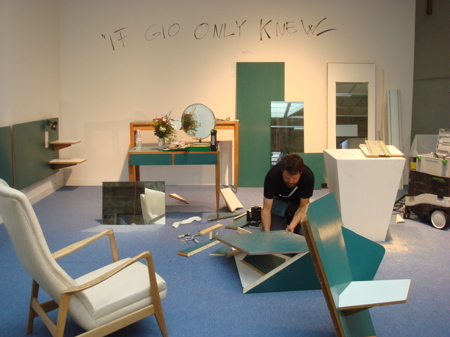 If Alex Coles speaks of Jorge Pardo’s lounges in terms of a symbiotic “Design-Art” in 2005, the dysfunctional furniture fragments of Florian Slotawa could rather be called an art “based on and related to design”. “Prototype” takes a closer look at developments in both disciplines since the late 1980s as well as their relations to some avant-garde movements. Focusing on furniture, the project takes this very object category as an example, where sociological, economic and aesthetic themes intersect. 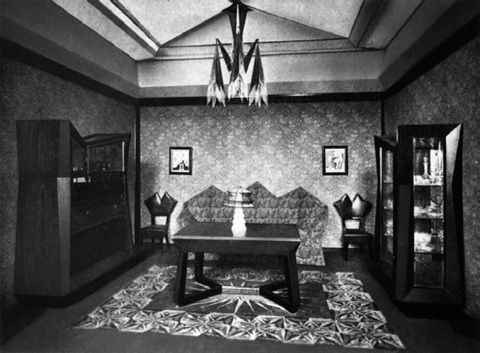 As objects closely related to daily life, items of furniture relate to general issues of visual and material culture and point to technical, economical or social standards of their time. The visual appearance and the style of a piece of furniture makes us think of a particular living environment, a milieu. A relationship to furniture can take many forms: between customer and commodity, as a frequently used part of our daily life, or even in the relation to an audience of a work of art or design. Each case offers many interpretative approaches to the topics of lifeworld, object relationship, as well as art and design history. 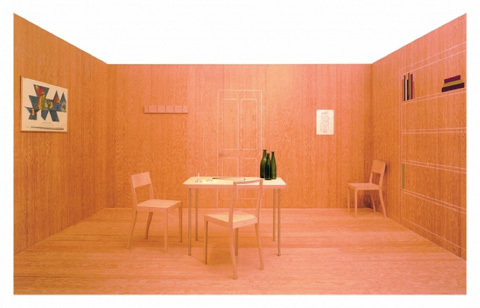 By researching furniture-based installations in art as well in design, we are also operating at the boundary of what is usually defined as “furniture” in terms of potential use. 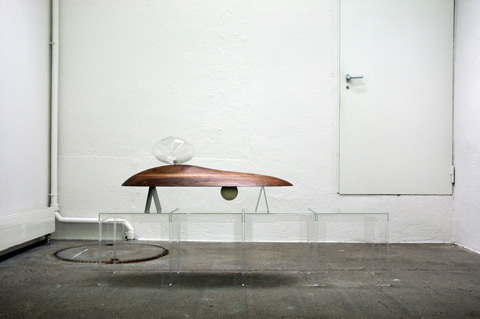 Designer Julia Lohmann, for example, works at these boundaries of cultural and linguistic expectations towards furniture: “Belinda” (2005) is made out of common materials of furniture production, but its form completely follows the shape of a cow’s body. A dead animal’s body now delivers material and form at the same time. Finally, the piece of furniture looks like the reclining torso of a cow without head and feet. – “Prototype – Furniture in Design and Art” 2008-2009: We focused on the perspective of designers and artists, exploring the topic through interviews, a workshop and a public conference.